Actor Ajith Kumar’s Vivegam/Vivekam rocking all the way at Box Office collection from the United States premiere show which screened on August 23rd night. The film beats all the Tamil cinema records especially, Bairavaa which spotted at the top position on before Vivegam release. Now, the Ajith and Kajal Aggarwal’s film has not just beat the record. It created biggest milestone in the United States Premier. The highly anticipated Tamil film also released in Telugu by dubbed as Vivekam. 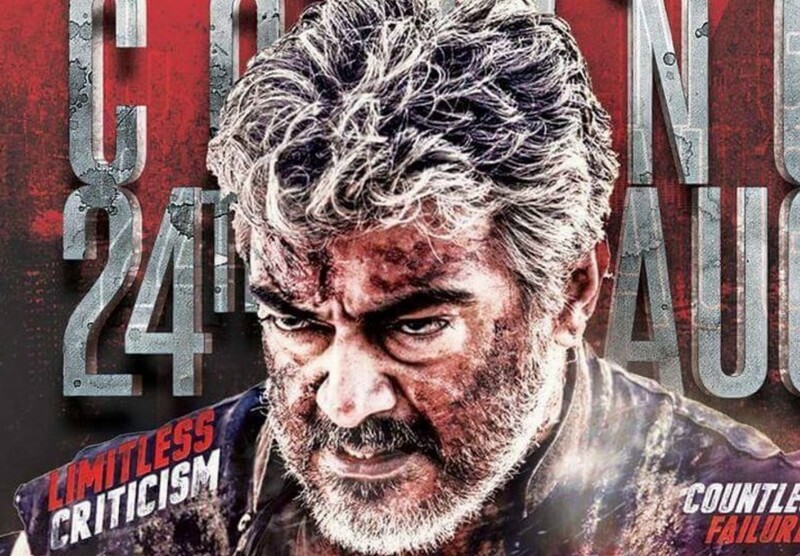 CineGalaxy Inc was bagged the distribution rights of Vivegam after several clashes for buying the rights between other South India Cinema distributors in the US. As per the report, the CineGalaxy bought the rights of Ajith’s Vivegam for a big price of Rs 18 crore. Then, the distributor arranged various big things on both languages. Totally 160 screens are booked for Vivegam and Vivekam (Telugu) in the North America. Most of the cinema halls are witnessing with 100 percent ticket sold at the Premier show of the film. If it is true, then Vivegam is the biggest film ever in the Ajith cinema career in US Premier. Also, the total gross collection beaten Vijay’s Bairavaa which collected Rs $81,000 in the US premiere shows on its release. Mani Ratnam and actor Karthi’s Kaatru Veliyidai is the third now, which collected $62,000. Si3, VIP2, and Vikram Vedha are standing in the order with respective BO collection.